As the years go by, our society is becoming more technology advanced and culturally diverse which is changing “the norms” and “traditions” we have all been used to. The same thing is happening with regards to Weddings and “traditional protocol”. Traditionally, the number of people in the wedding party was determined according to the size of the wedding. A formal wedding (defined as 200+ guests) could have up to 12 in the wedding party, a semi-formal wedding could have up to 6 in the wedding party and an informal wedding could have 2-4 in the wedding party. However, as I said earlier, traditions are changing! Now, it is considered acceptable to have as many in the wedding party as you would like. 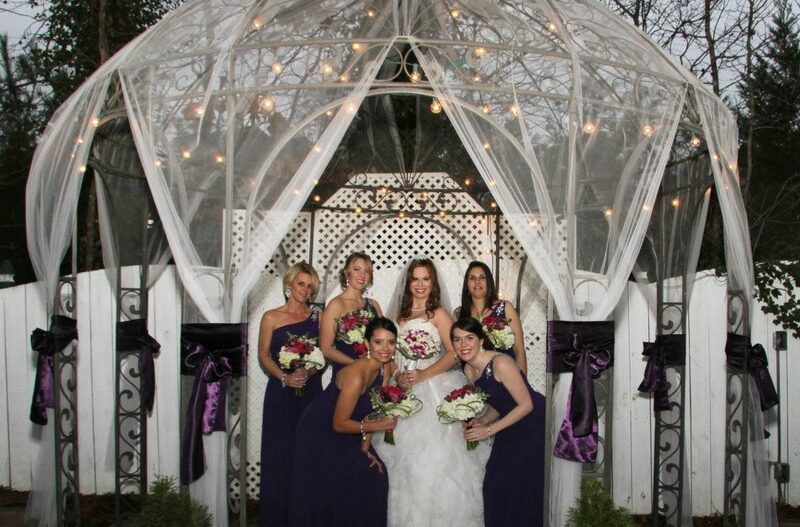 It is seen as more important to have those who are close to you in your wedding party no matter what the number! Another rule that is changing is that it is now acceptable to have an uneven number of groomsmen to bridesmaids. Pictures have changed and are now more focused on capturing the fun moments and beauty in more nontraditional styles, poses and settings. These new poses can help with decreasing the look of a “lopsided” wedding party and put more focus on what is important – those you love being around you and enjoying the wedding! If you are worrying about your wedding party walking down the aisle together, there are several options as well. You can start with all the men standing up with the groom and the bridesmaids walk down by themselves, or the men could walk down with more than 1 bridesmaid at a time, one on each arm. Also, remember that all eyes are on the couple getting married, not the wedding party! Remember, that traditions and norms are changing and you are now allowed to break out a new way of doing things! Enjoy your wedding and keep it exactly the way you want it to be. Don’t let “tradition” dictate what you want to do if you are not comfortable with it! At Gala Event Facility, located in Marietta, Ga, we focus on what the bride wants and how we can make the day special for all involved! We offer the ability to decorate to meet your needs as well as make your guests as comfortable as possible.